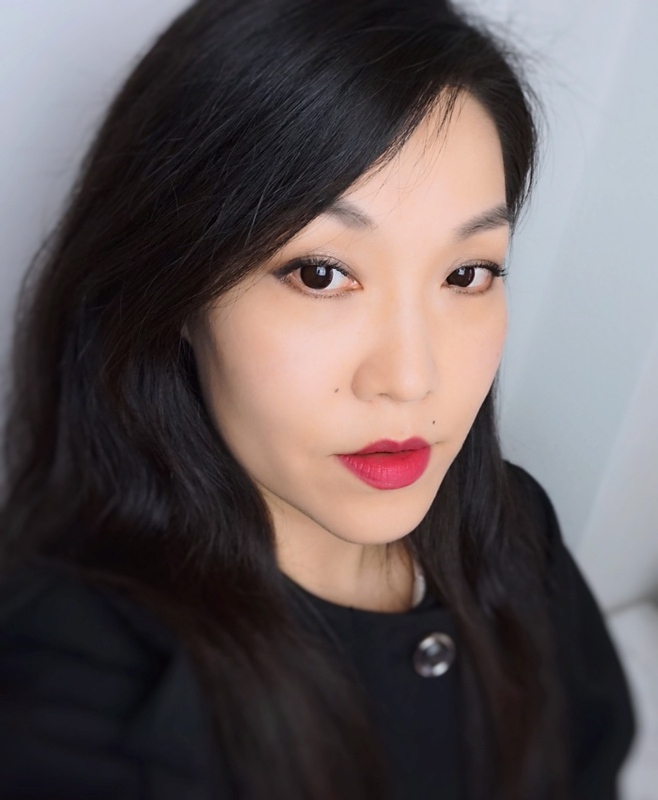 There is something velvety and slightly greyed-out quality to Givenchy Framboise Velours (well, the name kind of says it), which is why I find this bold color more wearable than other berry lip colors I own. I didn't want my eye makeup to look too dramatic but still glamorous enough to match the deep jewel-toned lips. The shimmery olive color from Platinum Bronze (Telepathic Taupe) was used all over the lids and darkest matte shade (Deep Velvet) to define the outer corners. I lined my lower lashes with the shimmery bronze in the palette (Sextrovert). You can see the swatches here. I prefer a sheer luminous base when I wear full-bodied lip colors so I opted for a tinted moisturizer aided with a primer and highlighting powder. Rouge Bunny Rouge Tinted Moisturizer (Sketches On Water) is a lovely formula and the shade Adansonia is a great match for me. 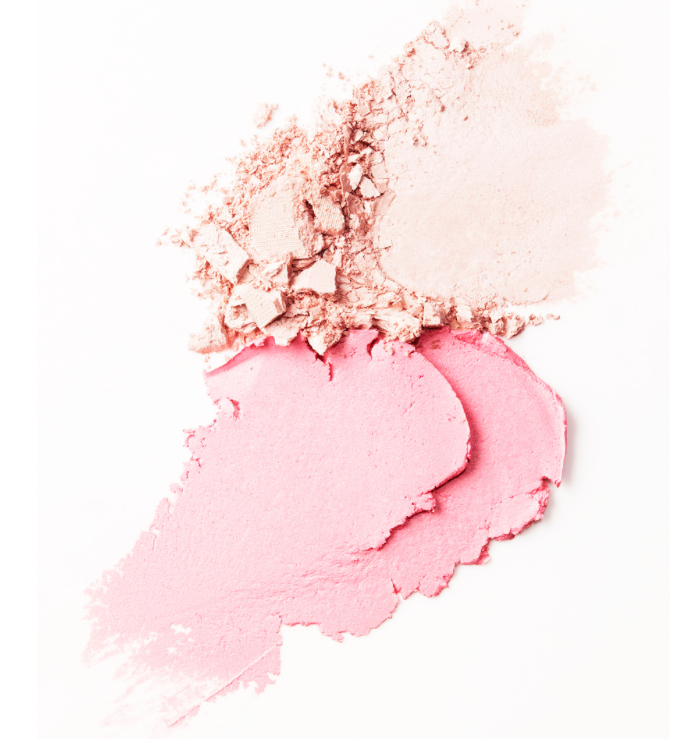 Rouge Bunny Rouge Skin Perfector Serene Light is something I'd purchase a full bottle of. This tinted primer works nicely even by itself for a sheer even complexion. I applied Rouge Bunny Rouge Highlighting Powder in Goddess all over. I am still loving the subtle glow of Goddess and using it on a regular basis. 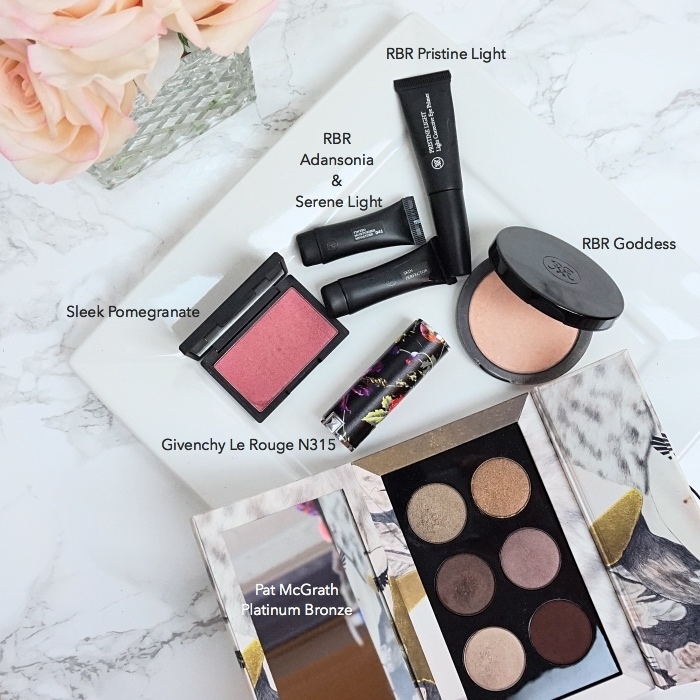 Reviewed and swatched here. The Sleek Pomegranate is pictured here but I forgot to use it. It would have warmed up the complexion nicely. Thanks for looking! Hope you enjoyed this look post. Let me know if you have any question. Oh I love the lipstick on you! I haven't tried any of the makeup you used here! I wanted to explore RBR more, but their shipping to my country is rather pricey. I love your Face Tray series, Lena. Beautiful looks!